10 Unreal Hunting and Fishing Destinations in the U.S.
With a private pilot’s license, spending a weekend or vacation at the top hunting and fishing destinations in the U.S. is no longer just a far-off dream. All you need to do is load up your tackle box and fishing pole, bow and arrow, or other equipment of choice, decide where you want to go and take-off on a new adventure. If you’re looking for great places to fly, we think these hunting and fishing destinations are ideal places to explore. Keep reading to learn more about 10 unreal hunting and fishing destinations in the U.S.
For unmatched fishing, set your coordinates for Yellowstone Airport and takeoff to Montana. Blue-ribbon trout streams are scattered throughout the area, making it well-known as the heart of fly fishing in the Rocky Mountains. Float and deep-water fishing are popular in the many lakes in West Yellowstone, including famous Hebgen Lake. Also, West Yellowstone has some of the best hunting opportunities in the Rocky Mountains, hosting a plethora of wildlife—from elk to bighorn sheep to moose and even wolves—this place truly has it all! While its name may allude to the great fishing opportunities, Salmon, Idaho is a hunters paradise as well. The mountain town is considered the gateway to Frank Church – River of No Return Wilderness, a 2.4 million acre natural wonderland. With an additional million acres of roadless wilderness in the surrounding areas, it’s easy to see why this town in Idaho is a top hunting and fishing destination. While Savannah may not be the first city you think of when you think about unreal hunting and fishing destinations, it actually has a lot to offer the outdoorsman. Georgia is known as one of the best states for bass fishing with fishermen commonly catching everything from bass, catfish, sunfish, crappie, and more in the state’s freshwater lakes and rivers. Of course, Savannah is located on the Atlantic Ocean, so there are plenty of ocean fishing opportunities, as well. Hunters will also enjoy a trip to Savannah, thanks to liberal bag limits on various types of game from deer to hogs to turkey to bear and even alligator. Hunters and fishermen alike will revel in the availability of Boundary Waters wildlife. If you’re flying yourself, the closest access point to the expansive camping area for private jets is Ely Airport in Minnesota, although there are several seaplane-accessible lakes throughout Superior-Quetico county. Few places in the U.S. provide the same sense of seclusion, tranquility and beauty as Boundary Waters, with plenty of hunting and fishing opportunities year-round. Because it’s in close proximity to Anchorage and the surrounding metropolitan area, the Mat/Su Valley is a very popular hunting and fishing destination in Alaska and the U.S. For those hunters looking for big game opportunities, Mat/Su is home to plenty of moose, caribou, mountain goat, brown and black bear, and more. Of course, there are plenty of small game across the land as well. Fishermen will get the chance to cast into countless stunning, well-stocked bodies of water, including lakes to rivers to streams throughout the region. With a large number of hunting preserves and ranches in Texas Hill Country and the city of Lampasas, hunters from all around the country descend upon the area to take advantage of the expansive wildlife population. Additionally, there are 49 fishing spots listed within a 30-mile radius of Lampasas, including lakes, rivers, streams, and reservoirs. Regardless of what type of animal you’re after, Texas Hill Country has something for every outdoorsman. For some of the best walleye fishing in the Midwest, head to Bismarck, North Dakota. Situated right on the banks of the Missouri River, fishermen and hunters alike will be happy with the wide array and availability of wildlife. The open land of North Dakota is home to abundant populations of pheasant and turkey, making Bismarck the place to go for any bird hunting enthusiast. Utah is home to some of the biggest early-season mule deer bucks and is recognized as the premier state for harvesting trophy deer. The city and 1,000 acres of surrounding public land are also home to a variety of waterfowl along and plenty of fishing spots. While Salt Lake is too saline to support most fish species, the world-famous Green River, Provo River and Strawberry Reservoir offer amazing fly fishing for a variety of trout species and kokanee salmon. Buffalo County is regarded as a legendary location for hunting whitetail deer. With its massive bluffs and rolling hills, the area is a prime grower of some of the largest bucks in the country. Plus, the nearby Upper Mississippi River is home to over 120 species of fish—more species than are found in any of Wisconsin’s inland lakes. If you can find a spot or two here, you’re sure to be in for some unbelievable hunting and fishing. The Lake Champlain Region is best known for its world-class fishery, quality deer and turkey hunting. With more than 400 square miles of surface area, 70 islands and 120 miles of trolling possibilities, hunting and fishing Lake Champlain will be an unforgettable experience. Not only is the hunting and fishing exceptional, landing at Savage Island Airport, located in the middle of Lake Champlain, should provide quite a thrill for any pilot. Ready to Reach Your Favorite Destinations? With a newly minted pilot’s license, you can takeoff toward these hunting and fishing destinations whenever you want to reconnect with nature. To gain the freedoms that come with learning to fly, contact the team at Inflight Pilot Training to learn more about our pilot certification program. 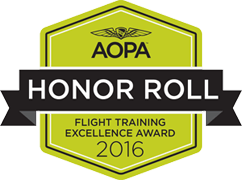 Inflight Pilot Training is a leading flight instruction company serving the greater Twin Cities area. 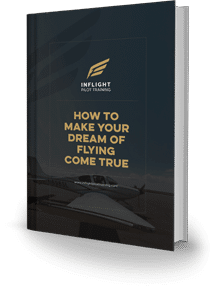 With a reputable training program and an extensive roster of highly skilled, certified flight instructors, it’s our goal to help you obtain your private pilot’s license so you can fly wherever you wish.